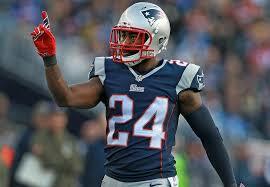 Darrelle Revis and the Patriots defense is more reliable than in recent years. Call me crazy, even as a Ravens fan by nature and believer that Baltimore matches up very well with New England (or as much as one team really can). I think this Patriots team is on a mission, and they have the pieces to back it up. With a much stronger defense in years past, Tom Brady doesn’t even need to be his usual stellar self, just solid if not spectacular. A healthy Rob Gronkowski and the additions of Darrelle Revis and Brandon Browner, coupled with the continued emergence of linebacker Jamie Collins, easily makes New England the AFC’s most complete team, if not the most in football. The Ravens will hang tough, but I am foreseeing a couple of key plays late from Beilchick’s bunch to propel New England, something in the ballpark of 27-17. Pick: Patriots. The Seahawks have the best defense ever. They are unbeatable at home. Carolina stinks, at 7-8-1 simply lucky to be here. So why even play this game, right? Uh, not so fast. Those aforementioned facts may be at least partially true, but these teams played to a 13-9 slugfest back in late October, won by Seattle at the end, and I think a similar game is in store for two very similar teams. The difference is Russell Wilson doesn’t fold under pressure and Cam Newton is very likely to make a couple costly mistakes in this one. While Carolina should keep it close, a win (and finally, a mark above .500!) seems out of reach. But 12.5 points is a lot for a Seahawks franchise that has had to claw through its previous divisional round wins when coming off byes. Pick: Panthers. Give me another road dog, but this time to win outright. I can’t shake the feeling that the Cowboys are riding as high as ever after basically stealing one from the Lions last week, and all the pressure is on the Packers and Aaron Rodgers’ torn calf muscle. Dallas was 8-0 on the road and Green Bay was 8-0 at Lambeau, so something’s got to give, but it could come down to the defenses, and I trust DeMarco Murray a little more as far as wearing down the opposite late when the game hangs in the balance. Pick: Cowboys. There’s something about Peyton Manning when the world is doubting him. It’s when the pressure is on that he seems to buckle, and granted, a first-round bye and facing the franchise he manned for 13 seasons before a neck injury paved the way for Andrew Luck could be daunting, but the Broncos must feel like an underdog. All the talk has been about the proverbial passing of the torch from Manning to Luck, but how much credit can you really give Indy after beating the hapless Bengals last week? I don’t quite see a blowout, but the Colts’ inability to tackle consistency combined with the outstanding running of rookie C.J. Anderson spells trouble for the visitors. Yes indeed, with apologies to Terrell Suggs, America will get the matchup it supposedly wants, another Brady-Manning title game. Pick: Broncos. Be the first to comment on "The Dividing Factors of Divisional Weekend"